HelioCampus created IPEDS Explorer to help institutions make their IPEDS data useful and actionable. This tool provides a glimpse into what we do. We are in the business of making complex data simple. Whether it’s IPEDS, internal or other third party sources, HelioCampus helps institutions make their data accessible, understandable and actionable. 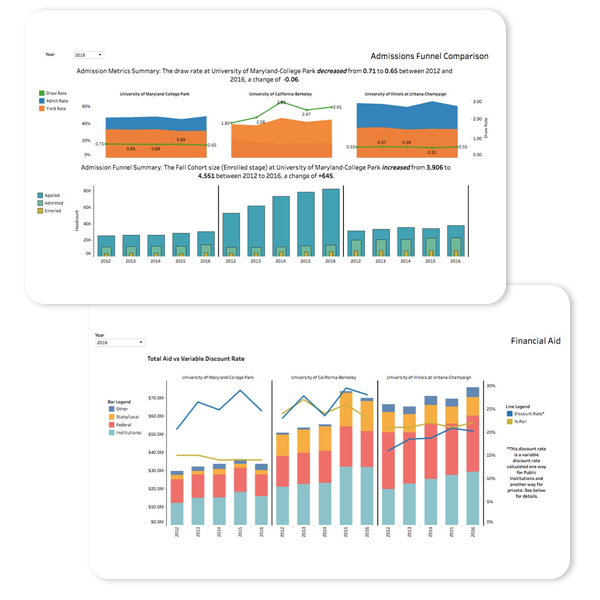 IPEDS Explorer enables free, easy access to the higher education community for institutional benchmarking and analysis using IPEDS data. Guided tutorials on each dashboard with key questions you could ask yourself when looking at the data. Explore admissions, retention, completion, financials, and faculty data using an intuitive, visual interface. Compare one institution with up to three others at a time. After filling out the form on this page, we’ll provide you with access to the IPEDS Explorer at no cost. If you have any questions after getting started, don’t hesitate to reach out to the team at explorer@heliocampus.com.